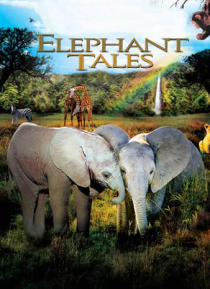 A tale of two elephant brothers, Tutu and Zef, in search of their mother, and the menagerie of wild creatures they encounter along the way. Just days after the birth of baby elephant Tutu, human hunters arrive late at night and decimate the herd. Faced with the loss of their family, Tutu and Zef set off across the African plain in search of a future. At a nearby watering hole, Tutu encounters some… crowned cranes, who lead him to believe that he will find his lost mother at the end of the rainbow. Though Zef knows better, he can only hope that a new elephant herd will eventually take them in, and the two siblings continue their search. A Chimp, Giraffe and baby Lion Cub soon join them, orphans as well, and though rivalries emerge, the foursome trek on across landscape both magnificent and treacherous. Together they brave dust storms, crocodiles, and "The Badness." Ultimately, in a climactic battle with ruthless poachers, they come to trust and depend on each other, and find that leadership and bravery comes in all shapes, sizes, and fur colors. Family is wherever you make it.